If You're British, Sign The Petition! 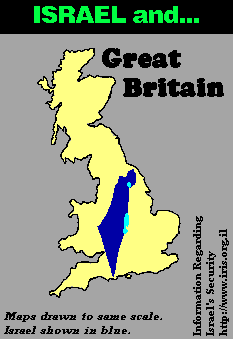 It’s widely thought that the motion ( “This House believes that the Government should recognise the state of Palestine alongside the State of Israel”) will pass since Labour leader “Red Ed” Miliband, a prisoner of the trades unions that form the basis of the Labour Party and which have been gunning for Israel for some considerable time, instructed his MPs to vote in favour of the motion, and since it also has the support of a number of Tories (who’ve been given a free vote on the issue), not least the pro-Arab Sir Nicholas (“Two Dinners”) Soames (known for his girth as well for alleged sexism towards female MPs), Sir Winston Churchill’s this-apple-did-fall-far-from-the-tree grandson, as well as (no surprises here) most of the Liberal Democrats, including, doubtless, their former leader Sir Menzies (“Ming”) Campbell, shown in Richard Millett’s video here blaming Israel for the rise if ISIS! Also recommending it is chief political commentator Peter Oborne in the London Daily Telegraph. Oborne, be it remembered,was responsible for the odious Dispatches programme “Inside Britain’s Israel Lobby”. ‘While a vote in favour of Palestinian recognition would only be symbolic and not bind the Government it would nonetheless have profound international implications. Last week Sweden became the first major EU country to announce that it intended officially to recognise the Palestinian state much to the fury of the Israeli Government, which called in the Swedish ambassador for a public reprimand…. But in a letter to The Independent a group of retired diplomats, including two former Consul-Generals to Jerusalem, have urged MPs to back the motion…. “We should not be taking a position on this and whipping the vote,” they said. “I for one will be staying away.”…. “The recent conflict between Israel and Hamas, which dominated the news here and abroad, has once again put Israel and the Palestinians high on the political agenda. It is understandable that all reasonable people, confronted with the suffering that war inevitably causes on both sides, would do everything they can to support a solution that will end the conflict once and for all. Previous Of Nakbas, fools and fingers.